Used but in fully serviceable working condition complete with mains cable. See pictures. 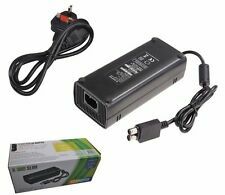 GENUINE XBOX 360 MICROSOFT POWER SUPPLY 150W. Condition is Used. Dispatched with Royal Mail 2nd Class. To fit Microsoft xBox360 Slim. 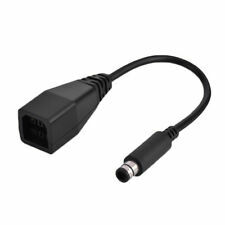 Replace any lost or broken AC power adapter for the Microsoft Xbox 360 Slim Console. 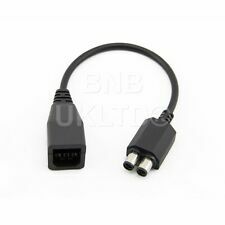 Includes Brick Adapter and UK power cable. Output power 135W. Model HP-A1502P2. 150W output 12V. Mains kettle power lead is included. Just the brick. No power cord. Mains kettle power lead is included. Model HP-AW175EF3P. 175W output 12V. Mains kettle power lead is included. 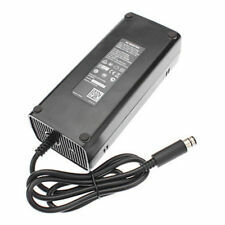 XBOX 360 CONSOLE Mains Power Supply Brick 175W PE-2171-02M1 good order. Condition is Used. Dispatched with Royal Mail 2nd Class. Model HP-AW205EF3P. 203W output 12V. Genuine Microsoft Xbox 360 Power Supply Brick and Cable 120W. Condition is Used. Dispatched with Royal Mail 1st Class. Model PE-2171-02M1. 175W output 12V. Mains kettle lead is included. 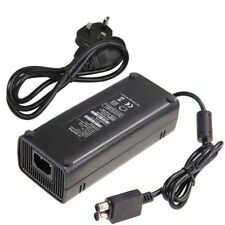 Xbox 360 Power Supply, Brick Adapter, 203W Genuine Xbox 360 Product. Condition is Used. Dispatched with Royal Mail 2nd Class. Please check the cable connector face to make sure they will fit your console, if in doubt please message me for assistance. Thanks. From smoke and pet free home All goods are Sent tracked for peace of mind please see all pictures as they are part of the description. Please see my other listing - any questions please me I use 100% recycled packaging, I believe in more friendly and greener planet. UK mainland only, if you’re outside the UK mainland for example Scotland highlands, Northern Ireland, isle of white etc please message before hand as postage costs are higher. Many thanks. Genuine Official Original Microsoft Xbox 360 203W Power Supply with plug included. Condition is Used, tested and working fine. Dispatched with Royal Mail 2nd Class. 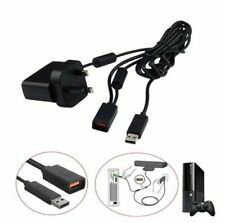 5 product ratings5 product ratings - Microsoft Xbox 360 Kinect Sensor Mains Power Supply Adapter. Power cable cord not included! CONDITION: used but working in good condition as displayed in pictures.